Micron Technology, PayPal, Nvidia, Activision Blizzard and Lam Research were the best performing tech stocks of 2017. It was another banner year for technology stocks in 2017. In the S&P 500, tech names both big and small were lifted higher throughout the year, propelled by powerhouse earnings, the broader stock market rally and optimism around President Donald Trump luring back corporate cash through new tax policies. 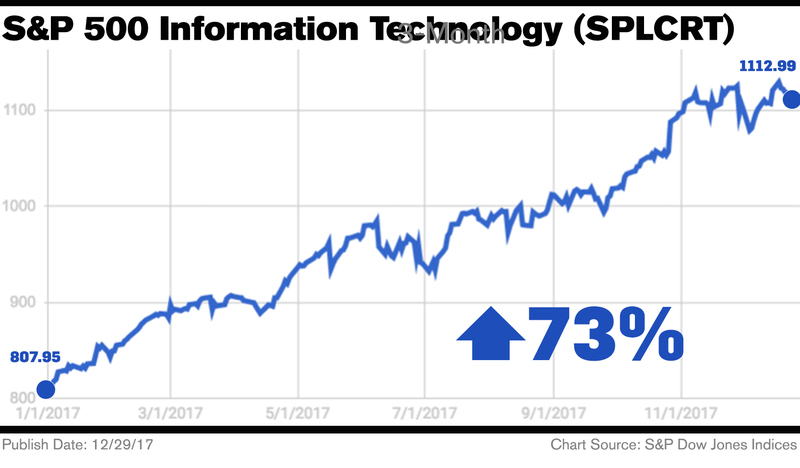 As a result, the S&P 500 Information Technology Index was the best performing sector in the entire index, climbing roughly 36% so far this year vs. the S&P 500's gain of 19.4%. The Information Technology index had such a great year that it finally recovered from when the dot-com bubble burst, rising to a new lifetime high in July that surpassed the record high set in 2000. The SPLCRT sector has climbed more than 73% in 2017. While the FAAMG stocks (Facebook Inc. (FB - Get Report) , Apple Inc. (AAPL - Get Report) , Amazon.com Inc. (AMZN - Get Report) , Microsoft Inc. (MSFT - Get Report) and Alphabet Inc. (GOOGL - Get Report) ) enjoyed above average gains, semiconductor companies dominated for the second year in a row, with the Philadelphia Semiconductor Index surging more than 37% year to date. Lam Research stock has surged over 74% so far this year. Chip equipment manufacturer Lam Research has been one of this year's most unexpected gainers. Like many of its peers in the semiconductor sector, it has benefited from increased spending in the memory sector, especially as it supplies the equipment used to make highly sought-after 3D NAND flash memory chips. Needham analyst Rajvindra Gill said in a note earlier this month that Lam Research could be one of the biggest beneficiaries of the new tax policies that allow companies to repatriate offshore cash, as it has a high net cash position, with offshore cash comprising up to 16% of its market cap. Activision Blizzard publishes some of the most popular video game franchises, including Call of Duty and Overwatch. 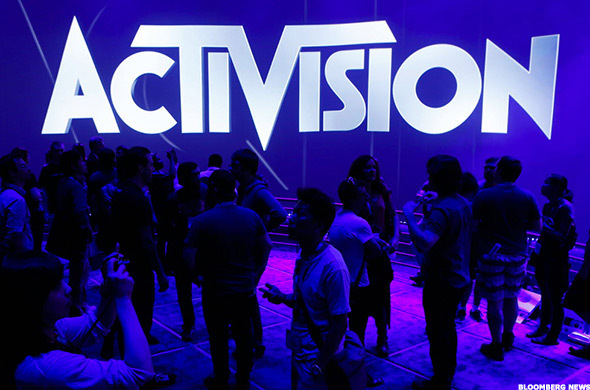 Activision Blizzard has been on a tear this year due to a string of outperforming earnings, continued success across its top game franchises, which include "Call of Duty," "World of Warcraft" and "Overwatch." The video game publisher continues to benefit from a rise in social gaming and digital game downloads -- trends that many analysts expect will carry over into 2018 and beyond. Nvidia may not be this year's best-performing tech stock like it was in 2016, but it still enjoyed a great run in 2017. 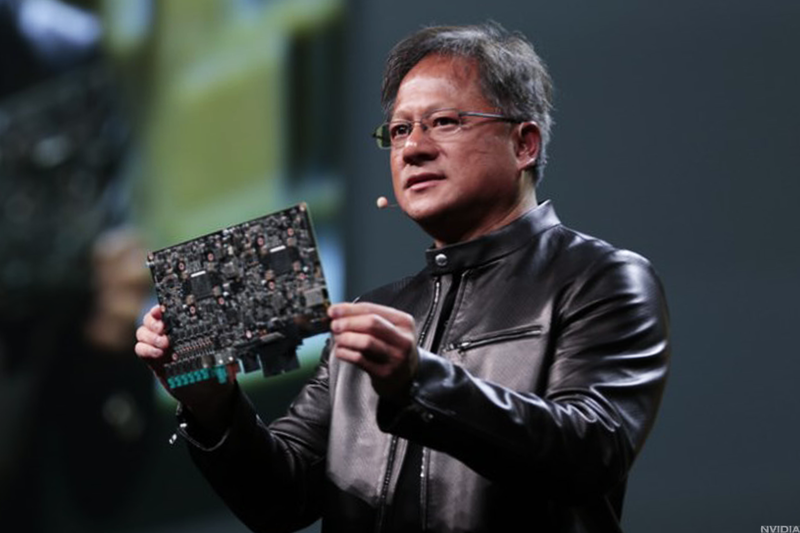 The chip giant used to be dependent on its video game graphics card business, but it has since diversified into new, hotter markets, including artificial intelligence and machine learning, which power some of the fastest growing technologies, such as autonomous vehicles. Nvidia also got a noteworthy, albeit much more minor, boost from cryptocurrency miners who use the graphics cards to power their mining rigs for bitcoin, ethereum and other digital currencies. PayPal has gotten a big boost from its ownership of Venmo. 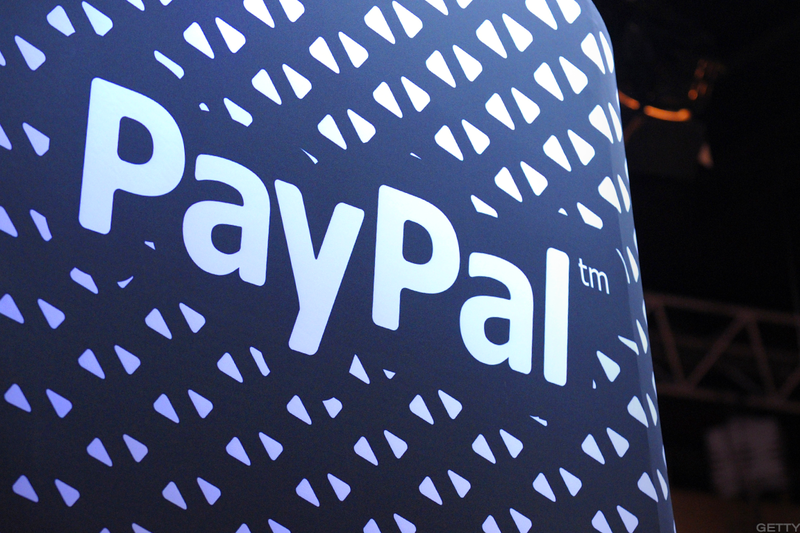 PayPal has quietly risen to become one of the foremost leaders in digital payments technology. Once restricted to peer-to-peer transactions online, it has made a series of smart deals that it have put it in a better position compared to other payment technology companies. PayPal owns millennial friendly payments app Venmo and recently sold its costly PayPal Credit business to Synchrony Financial for $6.8 billion. 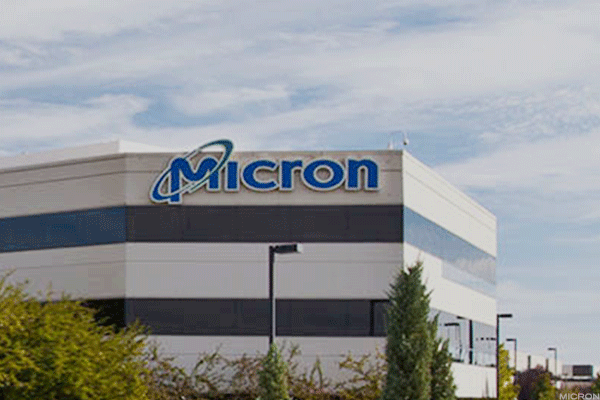 Micron has led the pack of chip companies in terms of year to date gains. Shares of Micron took off in 2017 and are expected to keep climbing in 2018, as the chipmaker benefits from strong pricing and demand trends in the NAND and DRAM chip market. Strong DRAM growth is being propelled by demand in the PC, smartphone and servers markets. Micron's stock has more than doubled in value since the beginning of 2017. Jim Cramer and the AAP team hold positions in Activision Blizzard, Nvidia, Facebook, Apple, Microsoft and Alphabet for their Action Alerts PLUS Charitable Trust Portfolio. Want to be alerted before Cramer buys or sells ATVI, NVDA, FB, AAPL, MSFT and GOOGL? Learn more now.